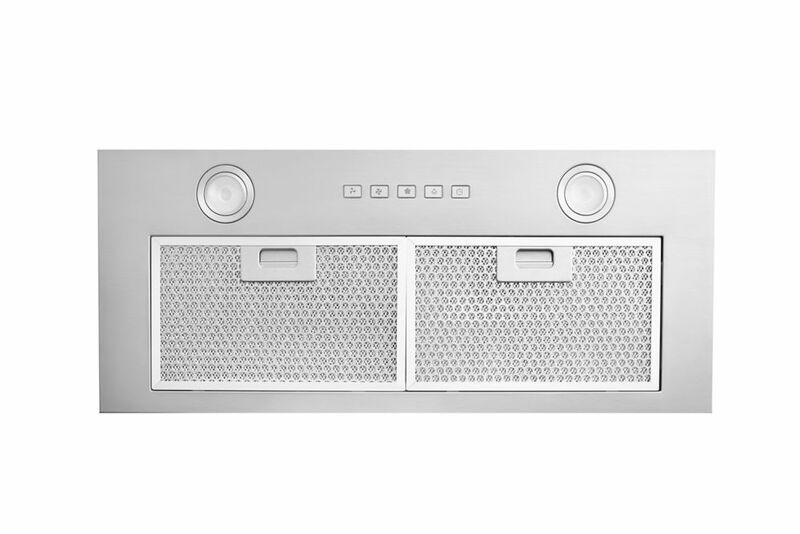 Power Pack Hood 27.6 inch - 600 Cfm - Colorado This stainless steel insert range hood offers high performance ventilation with its powerful 600 CFM internal blower motor. The electronical push-button controls activate the 3-speed blower and the two 2 W LED lights. The unit also features two reinforced aluminum micro mesh filters to efficiently remove grease and heated vapours from the air. Designed for a standard ducted vertical exterior installation, the hood integrates a 6" circular exhaust duct connection.